It boggles the mind why a guitarist with this level of talent is still playing in the streets. He should be out there filling stadiums to the rafters. 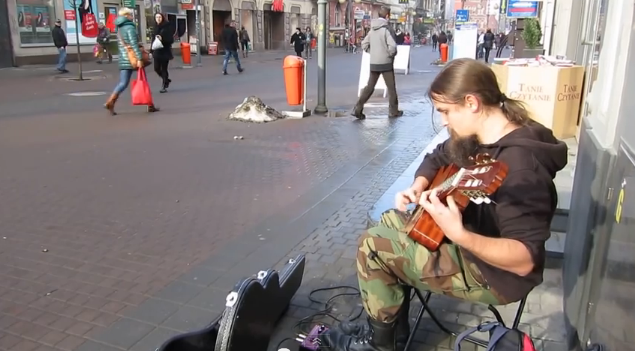 Mariusz Goli, a street guitarist who plies the streets of Poland busking has the talent to put well-known guitarists to shame. Here he is killing it with his guitar in a street corner of the city of Katowice in Poland. If you want more, here's more. Goli covers the themes for the movie The Last of the Mohicans and the popular HBO series Game of Thrones.